How many photos of you are on your phone right now? And lots of these photos are selfies—self-portraits, usually taken with a smartphone. 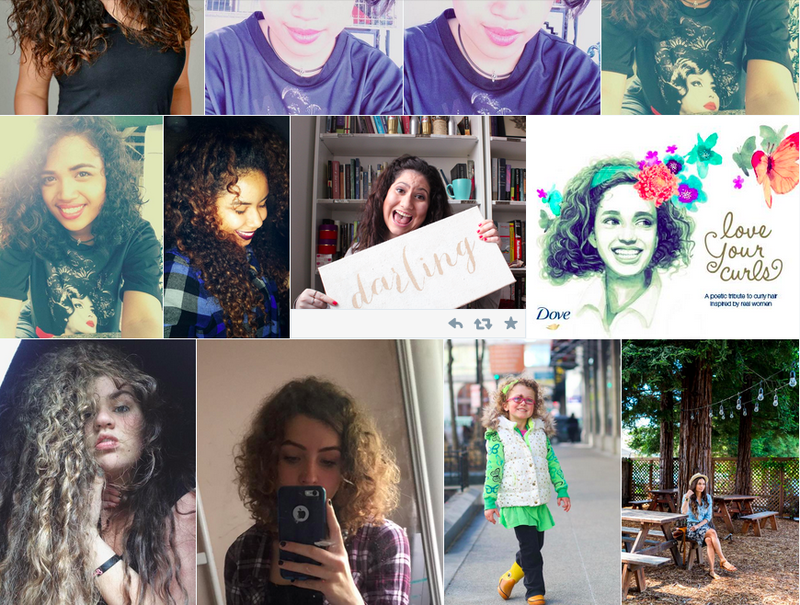 As of this writing, nearly 300 million Instagram photos had been tagged with the selfie label. 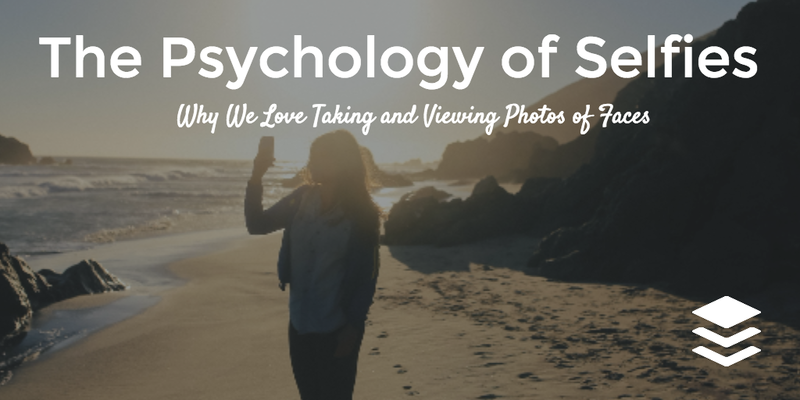 We love getting into the “whys” of social media psychology, so in this post I set out to discover why we love taking photos of ourselves—and why we love viewing selfies. What does “selfie culture” say about the world we’re living in now, and how can viewing photos of others help us make better decisions and even understand one another better? 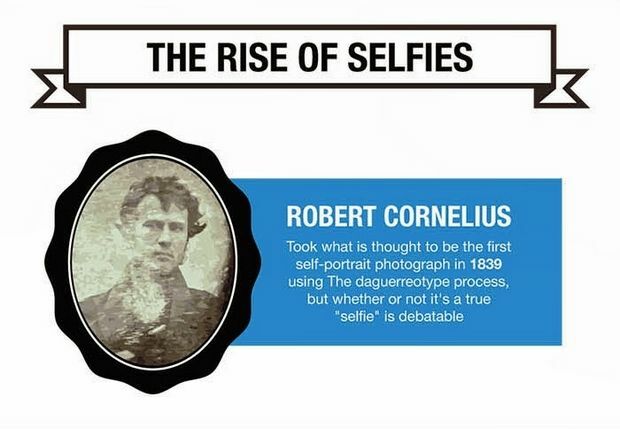 Read on for the full psychology of selfies. So self-portraits are about self-image—how we define ourselves. They’re also a way to figure out who we are. The “looking-glass self” is a psychological concept that says that how we see ourselves doesn’t come from who we really are, but rather from how we think others see us. And now that we can a) take a selfie in mere moments, and b) share them with thousands of people online at any time, the impact that others have on our self-value has increased. 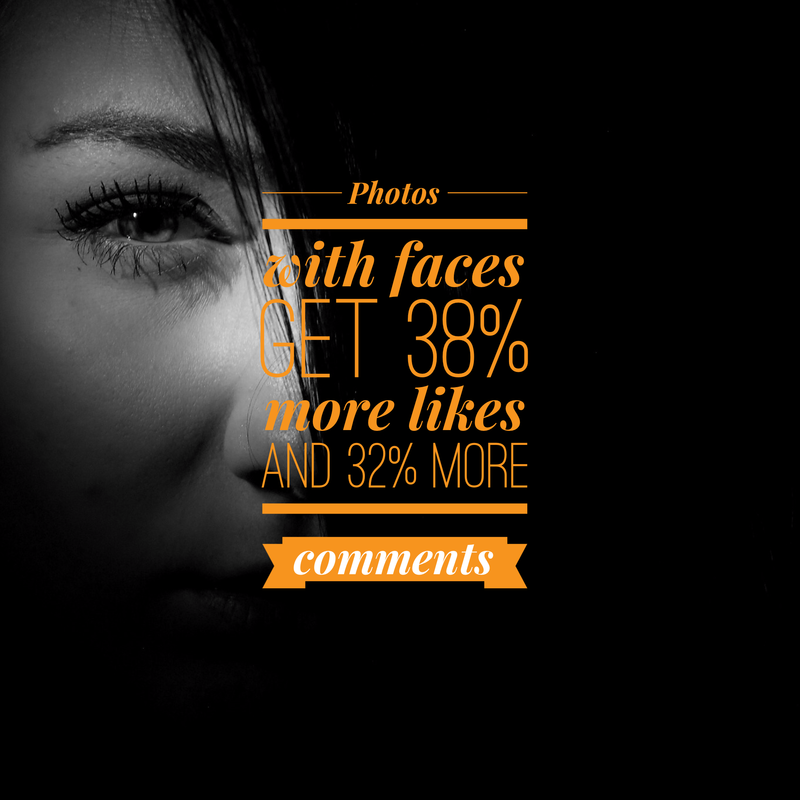 On Instagram, pictures with human faces are 38 percent more likely to receive likes and 32 percent more likely to attract comments than photos with no faces. Faces not only compel us, they can drive us to action. Online, we follow the eyes of the people we see on screen. Looking directly into the camera can help make a direct connection with someone. 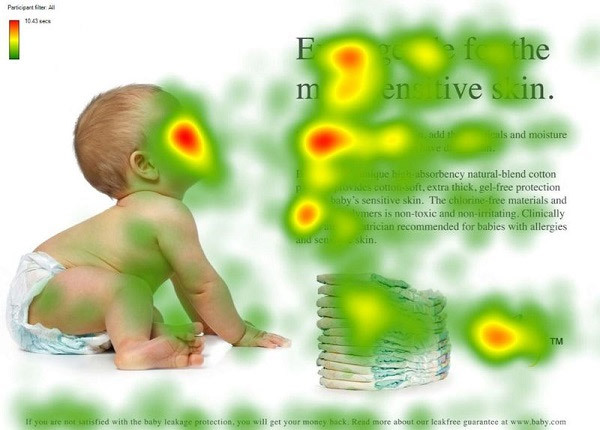 Looking to the left or right will help guide the reader’s eyes in that direction. 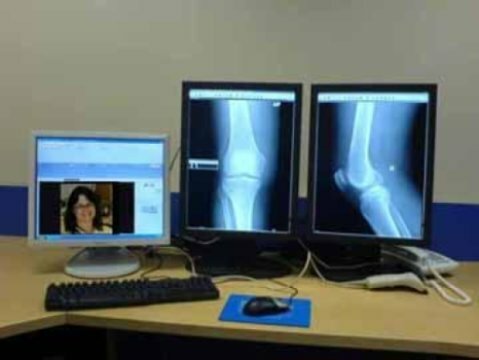 The results showed that seeing photos of patients increased empathy among doctors, and even improved the way they treated patients. It’s become somewhat common to think of those who post selfies as narcissistic or vain, but one great effect of selfies is that they can bolster self-esteem, particularly in women. Over-selfie-ing, however, can be a problem:Research has showed that sharing too many self photographs on social media could possibly damage weaker relationships. 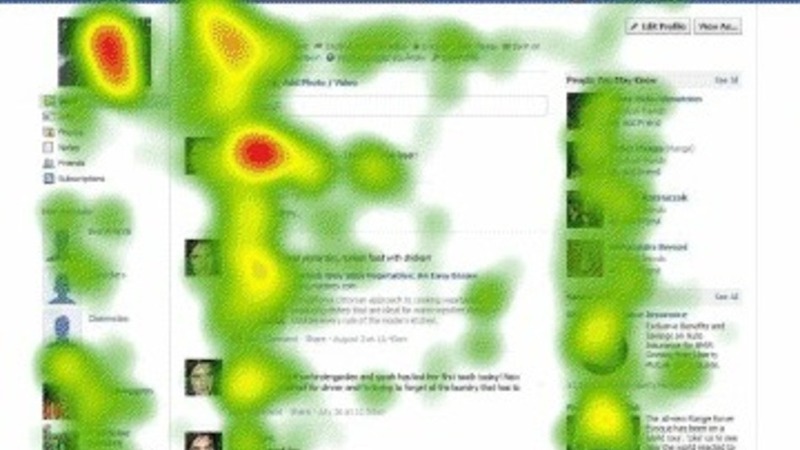 A UK study asked 508 Facebook users to rank how close they felt to friends who also use Facebook. They then compared the answers for each person to how many selfies that person posted. They found that the more someone posted selfies, the lower they ranked on the intimacy scales of the participants. We know social media works great with visuals. We know we love taking photos of ourselves and we love viewing photos of others. So it’s a given that face photos and selfies can have a place in great marketing campaigns. 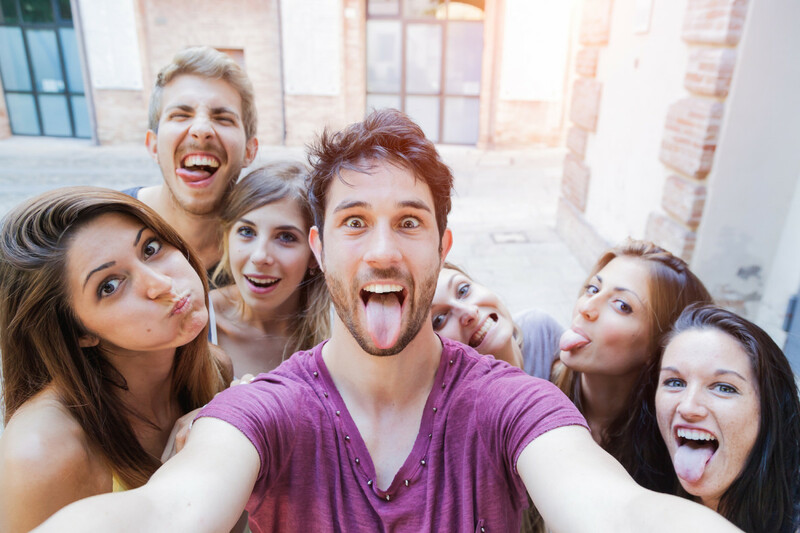 Brands are harnessing the power of selfies in lots of different ways—from soliciting user-generated content to creating interactive apps and everything in between. Here’s a look at five great examples. Do they give you any ideas for your own marketing? In Sydney’s 1888 Hotel, selfies aren’t just welcome—they’re very encouraged. The hotel’s website is covered in Instagram photos, and the hotel itself offers a photo-opp-filled tour around the hotel and nearby harbor. 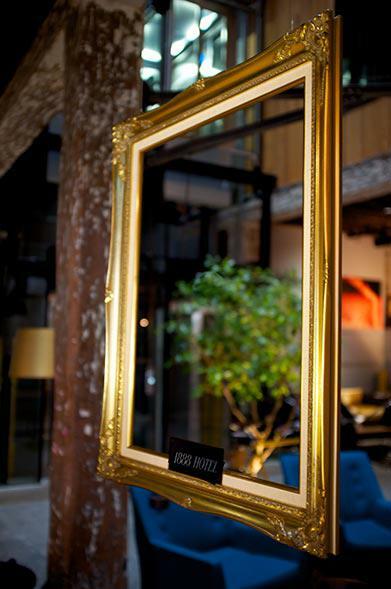 A designated “selfie frame” in the lobby beckons guests to take photos, which they can then see appear on screens near the reception area. Try it: If you’ve got a physical space and/or a product people might like to be photographed with, tap into our innate selfie urge by setting up a photo booth or designated selfie area, or simply add a prominent sign welcoming users to snap photos. Make sure you provide consistent tagging information so you can gather them later on your site or social media presence. Warby Parker’s glasses home try-on program is pretty legendary now, and with good reason. Giving customers 5 pairs of glasses to try on and decide between is a genius, organic way to spread word of your brand by simply encouraging people to do what we do naturally—ask our friends for their opinions. 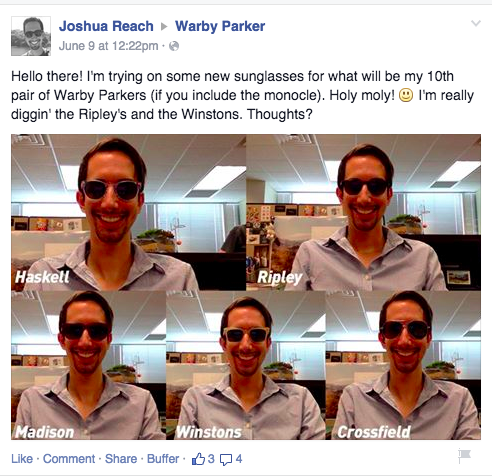 Warby also welcomes users to post selfies on the brand’s own Facebook page for an expert opinion. Try it: Any product one might ask for advice on (clothes, makeup, and more) could be a great choice to encourage selfies. Think: Before-and-afters, dressing room decisions and more. 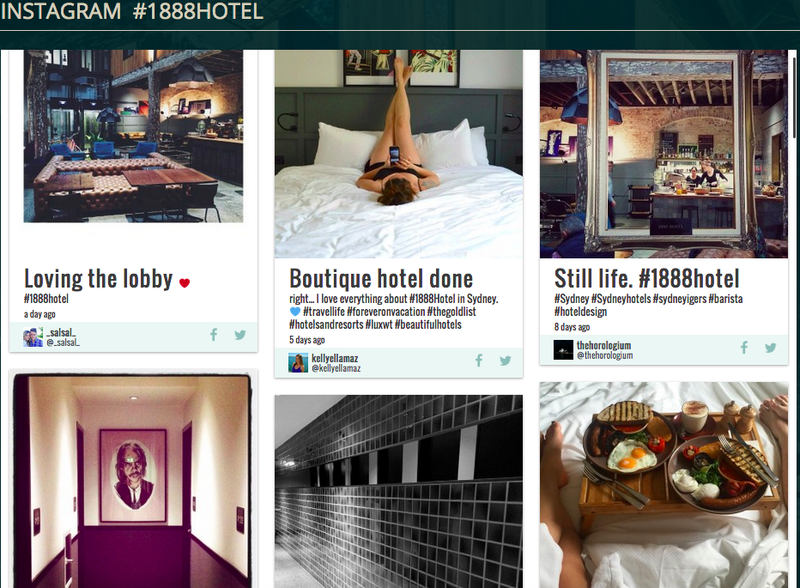 Bonus: Added social proof with every mention! Another idea for non-physical storefronts is to mail out selfie-encouraging treats, like Google is doing right now in my home state with Google Fiber shirts. Try it: Messages that empower the user and make people feel good about themselves can be a natural fit for selfie promotion. 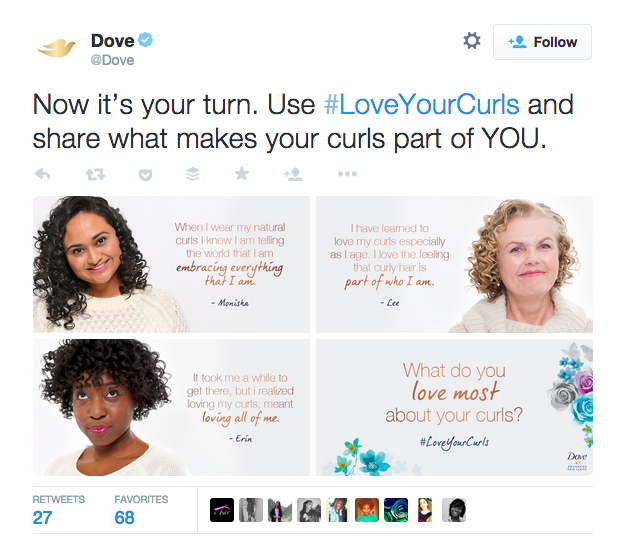 You might try following Dove’s lead of providing explicit instructions and specific examples to help users get the message quickly. Also great for a social media photo contest. 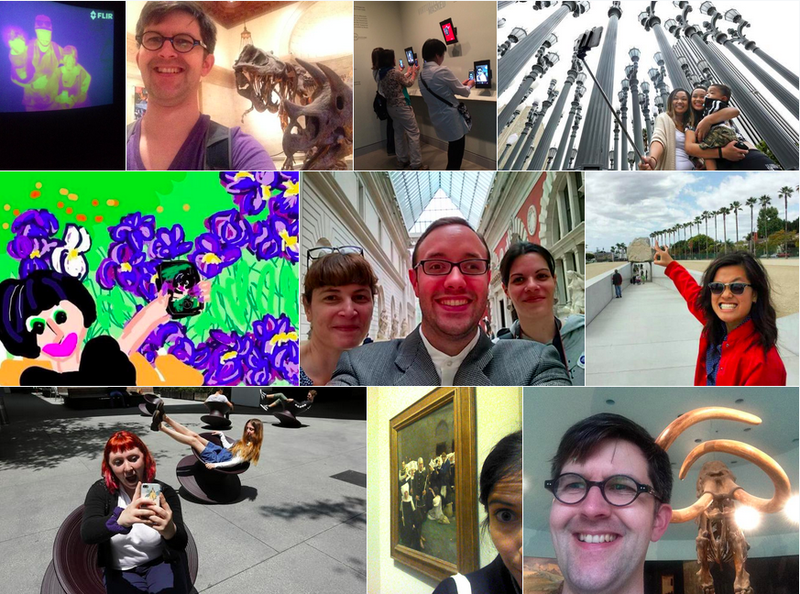 For two years now, museumgoers have shared fun, beautiful and education selfies on #museumSelfieday, a global Twitter celebration that showcases the world’s cultural treasures. Try it: Non-profits and causes can find lots to love in the idea of rallying around a common theme or hashtag. Similar examples: Uniqlo’s Selfless Selfiecampaign, the #nomakeupselfie trend. 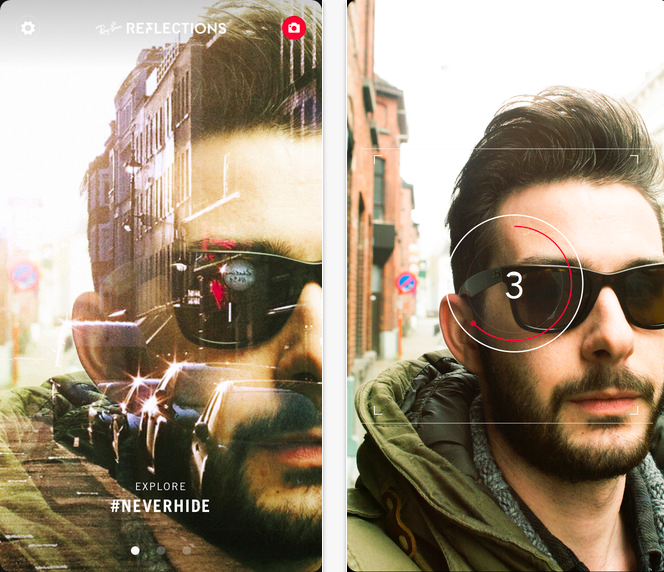 Ray-Ban takes selfie marketing to new heights with its own iPhone app, Reflections. Try it: Creating apps as marketing takes a specific set of skills, making Ray-Ban’s example one of the most challenging to pull off here. Large brands and budgets could give it a try, though, focusing on a high-level vision of your brand’s purpose. What’s your take on selfies? 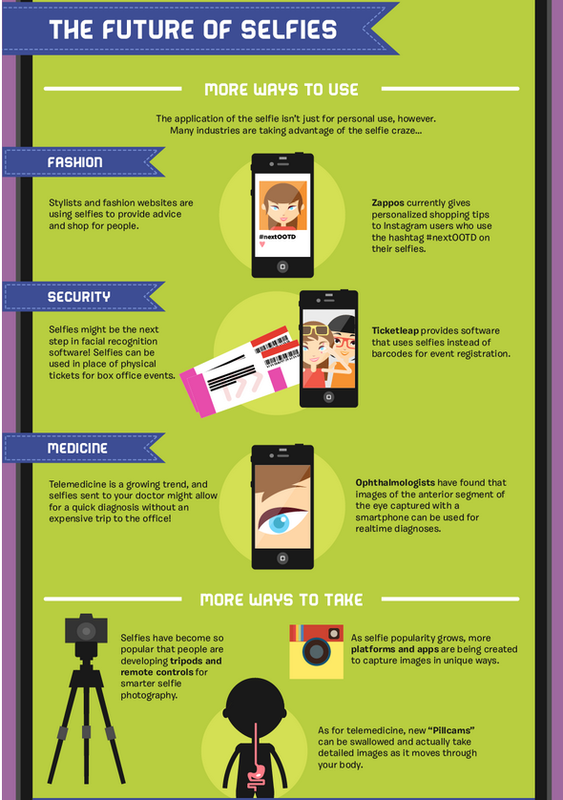 I’d love to know your thoughts on selfies: Is your phone filled with them, or do you eschew them altogether? Have you used selfies to share the news about a product or service, or participated in a campaign that solicited your image? As always, I welcome all your thoughts and ideas (and selfies!) in the comments.